This week on The Line, host Eli Sussman is joined by Ayesha Nurdjaja, the executive chef at Hundred Acres, Vicki Freeman and Marc Meyer’s farm-to-table restaurant in New York City’s SoHo neighborhood, where she serves a newly revamped menu of enticing Mediterranean dishes that highlight local, seasonal ingredients. Born and raised in Brooklyn, Ayesha is the daughter of an Indonesian father and Italian mother. Growing up, she was always inspired by her father’s cooking and his use of exotic flavors, but her entrepreneurial spirit first led her to pursue a business degree at Pace University. After graduating in 2000, she realized that food is where her true passion lies, so she enrolled at the Institute of Culinary Education. Ayesha graduated from culinary school in 2006 and, after watching chef Lidia Bastianich cook on PBS, walked into Lidia’s restaurant, Felidia, and asked for a job. They brought her on as a line cook and she worked her way up the ranks to become sous chef. Since then, Ayesha has helped lead the kitchen teams at Bar Artisanal and Michelin-starred Picholine under chef Terrance Brennan, and at Michelin-starred A Voce under chef Missy Robbins. 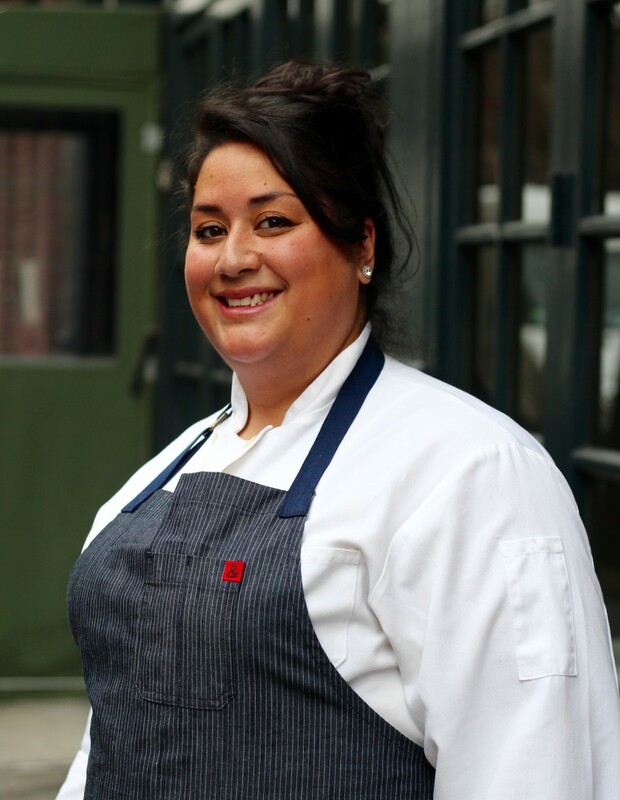 She also spent time as executive chef at Il Bordello and most recently at Brooklyn neighborhood favorite Red Gravy, where for three years she offered her take on modern southern Italian cuisine. In 2015, Ayesha met with restaurateurs Vicki Freeman and Marc Meyer, who were looking for a new chef at their restaurant Hundred Acres. Ayesha was drawn to their passion for creating a welcoming place with honest cooking and they hit it off immediately. At Hundred Acres, her new menu draws on the rustic, vibrant flavors found throughout Italy, Morocco and Tunisia.